“Dio Returns: The World Tour” — featuring Ronnie James Dio reuniting via hologram with his DIO bandmates — kicked off Wednesday night (December 6) at Matrix in in Bochum, Germany. The Ronnie hologram performed throughout the show, treating fans to an alternating setlist that featured songs such as “Rainbow In The Dark”, “We Rock”, “Neon Nights”, “King Of Rock And Roll”, “Man On The Silver Mountain”, “Heaven And Hell”, “Holy Diver” and more. Fan-filmed video footage of the Bochum concert can be seen below. 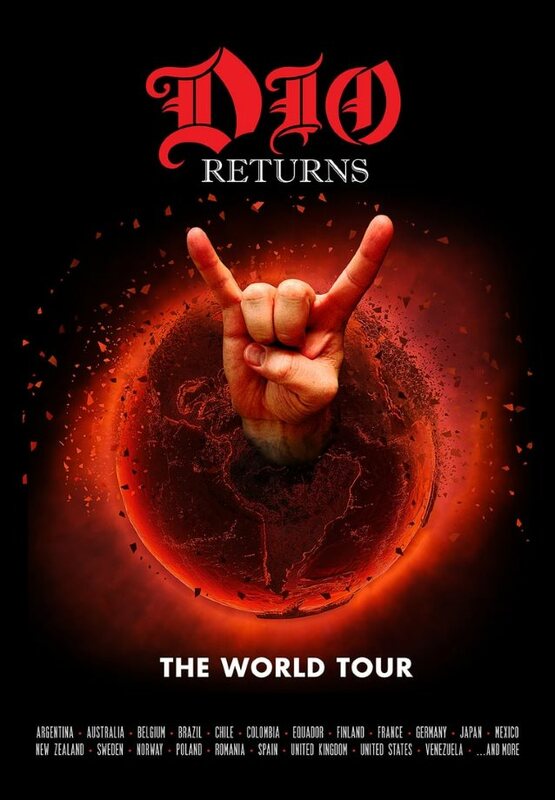 The “Dio Returns” tour features Ronnie‘s actual live vocals, with the DIO band playing live, consisting of Craig Goldy on guitar, Simon Wright on drums and Scott Warren on keyboards, along with Bjorn Englen on bass. Veteran metal vocalist Tim “Ripper” Owens (JUDAS PRIEST) is also performing, with singer Oni Logan (LYNCH MOB) also joining on select dates. “Dio Returns: The World Tour” will also make stops in Poland, Spain, Romania, United Kingdom, Netherlands and Belgium before the end of 2017. According to Goldy, DIO DISCIPLES‘ performances with the Ronnie James Dio hologram will serve an opportunity for people who “never got to see Ronnie on stage with BLACK SABBATH and RAINBOW” to experience some of the original magic. According to Englen, the tour will consist of shows “at theaters and large clubs. And as long as the stage is big, we can do it. It has to have a certain width,” he explained.